Within the period February 2014 - January 2015, the Access to Information Programme Foundation run a nationwide public consultation and drafted a concept for amendments to the access to information legislation on the base of its 18 years of experience in the monitoring and advocacy for better transparency and accountability practices and the exercise of the right to information. The Concept is based on the analysis of the results from the annual audit on active transparency of Bulgarian institutions and the permanent monitoring of the state of access to information in Bulgaria which AIP performs. The experience of states with good legislation and effective independent oversight bodies will be studied. The draft concept for legislative amendments was put to public consultation via an online platform and 5 public discussions with interested groups which were held in Sofia. AIP prepared and published a Concept on Amendments to the Access to Public Information Legislation. The Concept aims to present a broad range of problems stemming from the Access to Public Information Act implementation practices and possible solutions for their overcoming. It is based on AIP 18 years of experience in the monitoring and advocacy for enhanced transparency and accountability of public bodies and more active exercise of the right to information. In the course of drafting the Concept, AIP experts have explored the experience of states with good legislative models and effective enforcement mechanisms. The Concept also contains the results from five the public discussions, organized and held by AIP within the period June – October 2014, with different interested groups with the aim to discuss the need for legislative amendments – with journalists from print and electronic media; IT specialists, open data activists, bloggers and business; representatives of NGOs and active civil groups; public officials responsible for the APIA implementation; and lawyers and judges from administrative courts. Nearly hundred representatives of NGOs, citizens, lawyers, chairpersons of administrative courts and public officials responsible for the Access to Public Information Act (APIA) implementation from all over the country took part in the Conference. The aim of the Conference was to present and discuss the Concept on Amendments to the ATI Legislation drafted by AIP on the base of the results from five public discussions with interested groups of information seekers and providers; from a nationwide online consultation, and on the base of accumulated experience in the APIA implementation. Within the period April – October 2014, AIP held a nationwide public consultation on the need for specific amendments to the access to information legislation with regard to the accumulated practices in the Access to Public Information Act (APIA) implementation. AIP organized and held five public discussions with different interested groups with the aim to discuss the need for legislative amendments – with journalists from print and electronic media; IT specialists, open data activists, bloggers and business; representatives of NGOs and active civil groups; public officials responsible for the APIA implementation; and lawyers and judges from administrative courts. ﻿All statements and proposals made during the public discussions or sent by email were reviewed and systematized (in Bulgarian): ﻿http://store.aip-bg.org/Obsujdane2014/Obobshtenie_predlojenia.pdf﻿. 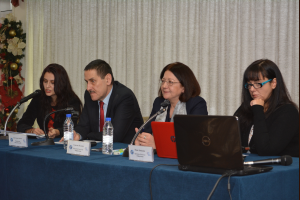 On October 24, 2014, Access to Information Programme held a public discussion with lawyers and judges from administrative courts﻿ in the country and the Supreme Administrative court to discuss necessary amendments to the Access to Public Information Act (APIA). The forum took place in City Hotel, Sofia. The discussion is the fifth and the last out of all five planned public discussions with interested groups within the project “Advocacy Campaign for Amendments to the Access to Information Legislation,” supported by a grant under the NGO Programme in Bulgaria under the Financial Mechanism of the European Economic Area 2009 – 2014. A summary of the discussed topics was published in AIP FOI monthly newsletter for October 2014 (in Bulgarian): http://www.aip-bg.org/publications/Бюлетин/Необходими_ли_са_промени_в_ЗДОИ/101517/1000486378/﻿. Pictures from the discussion are available at: http://www.aip-bg.org/about/gallery/104471/﻿. On October 14, 2014, Access to Information Programme held a public discussion with public officials from central bodies of power and local self-government bodies responsible for the APIA implementation, to discuss necessary amendments to the Access to Public Information Act (APIA). 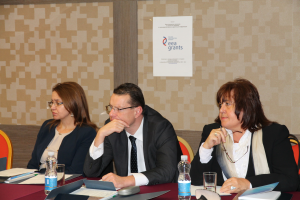 The forum took place in City Hotel, Sofia. The discussion is the forth out of five planned public discussions with interested groups within the project “Advocacy Campaign for Amendments to the Access to Information Legislation,” supported by a grant under the NGO Programme in Bulgaria under the Financial Mechanism of the European Economic Area 2009 – 2014. Pictures from the discussion are available at: http://www.aip-bg.org/about/gallery/103697/﻿. On July 4, 2014, Access to Information Programme held a public discussion with representatives of NGOs, active citizens and civil society groups to discuss necessary amendments to the Access to Public Information Act (APIA). The forum took place in City Hotel, Sofia. The discussion is the third out of five planned public discussions with interested groups within the project “Advocacy Campaign for Amendments to the Access to Information Legislation,” supported by a grant under the NGO Programme in Bulgaria under the Financial Mechanism of the European Economic Area 2009 – 2014. Pictures from the discussion are available at: http://www.aip-bg.org/about/gallery/105224/﻿. 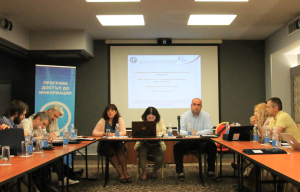 On June 24, 2014, Access to Information Programme held a public discussion with bloggers, IT specialists, and business ﻿in order to discuss necessary amendments to the Access to Public Information Act. The forum took place in City Hotel, Sofia. Pictures from the discussion are available: http://www.aip-bg.org/about/gallery/100730/﻿﻿. On June 3, 2014, Access to Information Programme held a public discussion with journalists from national electronic and print media in order to discuss necessary amendments to the Access to Public Information Act. 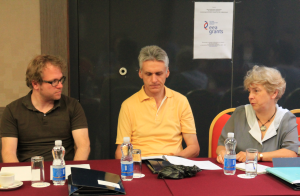 The forum took place in City Hotel, Sofia. The journalists who took part in the discussion are active users of the APIA for the purposes of their reporting and investigations, bring refusals of public bodies to court with the assistance of AIP and cover extensively issues related to government transparency, openness and accountability. Pictures from the discussion are available: http://www.aip-bg.org/about/gallery/105582/﻿. an overview of the most interesting developments in the FOI litigation in 2013, including summaries of cases in which AIP has provided court representation. 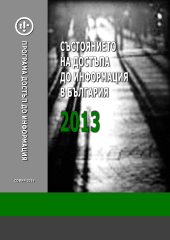 The report Access to Information in Bulgaria 2013 was translated in English and disseminated via the International Freedom of Information Advocates Network. 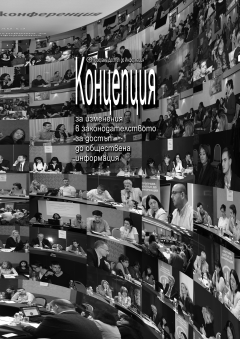 The annual report Access to Information in Bulgaria 2013 is published within the project Advocacy Campaign for Amendments to the Access to Information Legislation supported by a grant under the Fund for NGO Support in Bulgaria through the EEA Financial Mechanism 2009 – 2014. 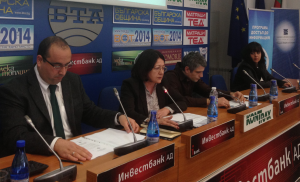 Results from 2014 AIP audit on institutional web sites, 2014 Active Transparency Rating﻿ for Bulgaria and the 2014 Budget, Financial Transparency and Integrity of Municipalities Map were presented on April 2, 2014 at the Press Club of the Bulgarian News Agency, Sofia. Within the period 3 February – March 2014, a team of Access to Information Programme reviewed and evaluated 534 web sites of 535 executive bodies at a central, regional, and local level, and also public-law entities and 7 independent state bodies. 535 electronic requests were filed for a copy of the last public procurement contract signed by the institution in 2013.﻿ Focus of the 2014 audit is the Budget, Financial Transparency and Integrity. A special section with new set of indicators was integrated in the audit module. The level of transparency was evaluated by points on the base of 66 (75 for municipalities) indicators. The possible total was 69.4 (82.4 for municipalities). In order to even better illustration of the active transparency situation in Bulgaria, besides the updated 2014 Active Transparency Rating, the results are visualized in a 2014 Budget, Financial Transparency and Integrity of Municipalities Map. Comparative 2012, 2013, 2014 Ratings show the development of the active transparency of Bulgarian institutions. All results are in English for the first time. Comparative data from AIP audits 2011 – 2014 and 2013 Audit results by type of public body are available in English. The 2014 Audit was performed within the project Advocacy Campaign for Amendments to the Access to Information Legislation supported by a grant under the Fund for NGO Support in Bulgaria through the EEA Financial Mechanism 2009 – 2014. 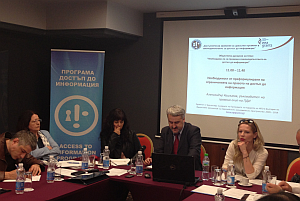 On February 28, 2014 in Sofia, Access to Information Programme (AIP) held the annual meeting with the journalists of its country-wide coordinators' network. The journalists outlined the current situation of the access to information in the country. They presented statistics of the requests filed to the municipalities and the regional structures of the executive power bodies; the attitude of the administration towards the requestors; characteristics of the issued refusals, access to information litigation of citizens, journalists and NGOs. AIP Executive Director Gergana Jouleva presented key achievements from AIP advocacy activities in 2013, summarized in AIP organizational annual report. The 2014 goals and challenges before AIP and the coordinators' network were outlined. The goals, specific activities and timeframes related to the implementation of the project Advocacy Campaign for Amendments to the Access to Information Legislation﻿ were presented. The responsibilities of the AIP team and the coordinators ﻿were discussed. The Head of AIP legal team Alexander Kashumov presented problems and tendencies related to the access to information. Darina Palova and Fany Davidova from the AIP legal team presented statistics and characteristics of the cases referred to AIP for legal help and consultation during 2013. Kiril Terziiski presented an overview of ATI litigation. Pictures from the event are available here: http://www.aip-bg.org/about/gallery/101802/. The whole responsibility for the content of this section shall be taken by the Access to Information Programme Foundaiton and it cannot be assumed under any circumstances that the document reflects the official stance of the Financial Mechanism of the European Economic Area and the Operator of the Programme for NGO support in Bulgaria.